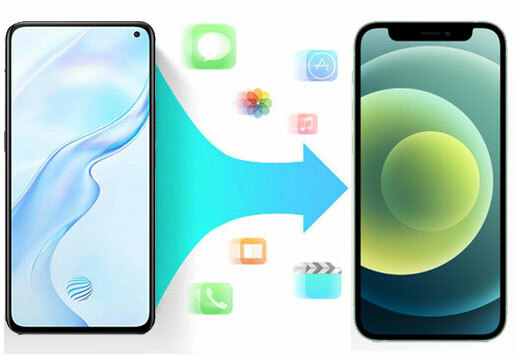 As it is known to all that Samsung and iPhone is running on different operating system, and Samsung mobile phone always be regarded as the biggest competitor of iPhone on the market. So we always find that people switch their mobile phone from Samsung Galaxy Note 3 to iPhone 5, or from iPhone 5 to Samsung Galaxy S4 frequently. Thus, it is inevitable that you may have lots of data need to be transferred from the old phone to the new one, especially the contacts list, right? Then the problem is coming here - how to copy data, especially contacts list between two different operating system like Samsung Galaxy and iPhone? First of all, you may want to know the difference between this two devices, right? So here, we have made a simple table sheet to compare the most popular Samsung Galaxy S3/4/5 with iPhone 5/5S. In most situations, we can't simply say which one is better than another. And this is also not the focus in this page. 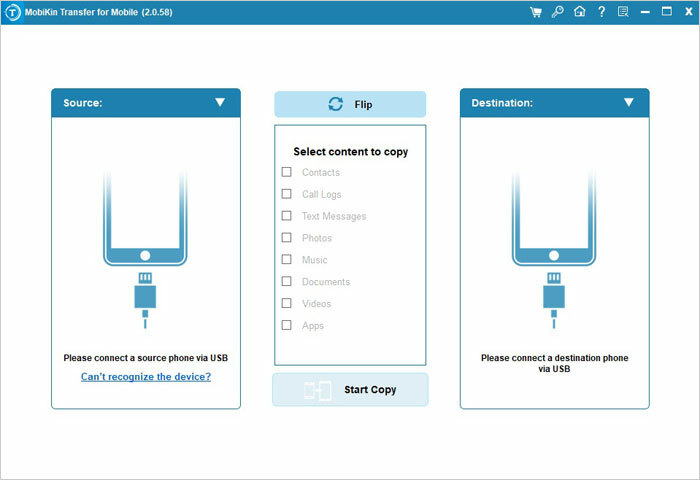 We can see that Samsung and iPhone have their own management tool, but this kinds of program can't help you move data between two different operating system. So if you're encountered the question of transferring data like contacts, call logs, SMS, etc. between Samsung and iPhone, then you can take a free trial on this Mobile Phone Data Transfer program. With it, you can transfer all your needed contacts list like phone number, email address, etc. from Samsung Galaxy to iPhone or from iPhone to Samsung Galaxy easily. - Phone Transfer have been installed on your computer. You can click the below icon to download the powerful software as you like. 1st - Now, let's start the transferring process right now. After launching the program on your computer, you can see an interface like below. Here, you can directly select "Phone to Phone Transfer" mode as your choice. 2nd - Link the Samsung and iPhone device to your computer via its USB cable. Then the program will detect the connected device and show them in the program's source and destination area respectively. If the phone in the wrong area, you can click "Flip" button to change them quickly. 3rd - Select the data you like to transfer and then click "Start Transfer" button begin the process. And you can check it in the program as follow.